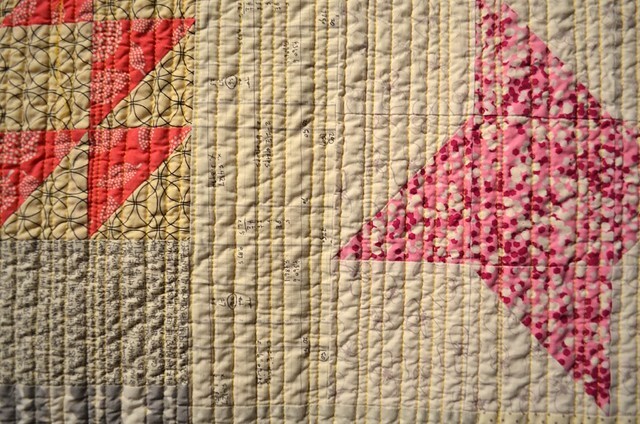 I named this quilt Hush - I have to give a lot of credit to my friend Debbie from A Quilter's Table. I was trying to settle on a name as I was uploading my photos into Flickr, she immediately commented on that one above, saying "oh my this is lovely! Love how 'quiet' it is...traditional and modern all at once...". I immediately knew this quilt should be named Hush. I am so pleased to share a finish today for Scraptastic Tuesday given that most of my scrappy projects are longer term works in progress. Hush is about 45" x 48" after the wash and dry. She is made from many different quilting cottons, mostly scraps. The binding was made from scraps of the block fabrics and some similar ones. 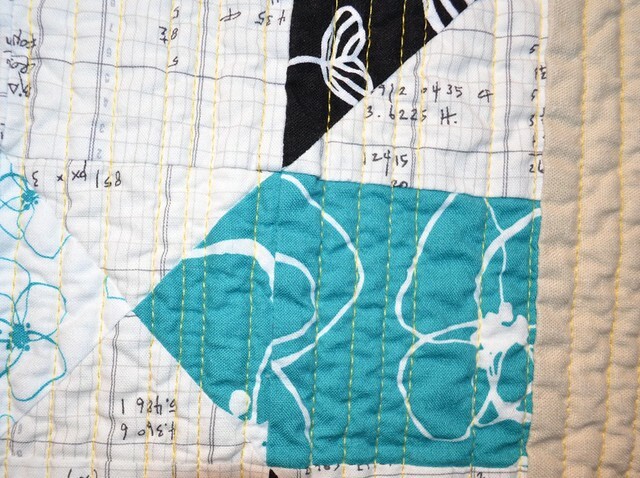 You may recall that I made the blocks that are in Hush as demonstration blocks for the Decipher Your Quilt series that Jess from Elven Garden Quilts and I presented over 2014. 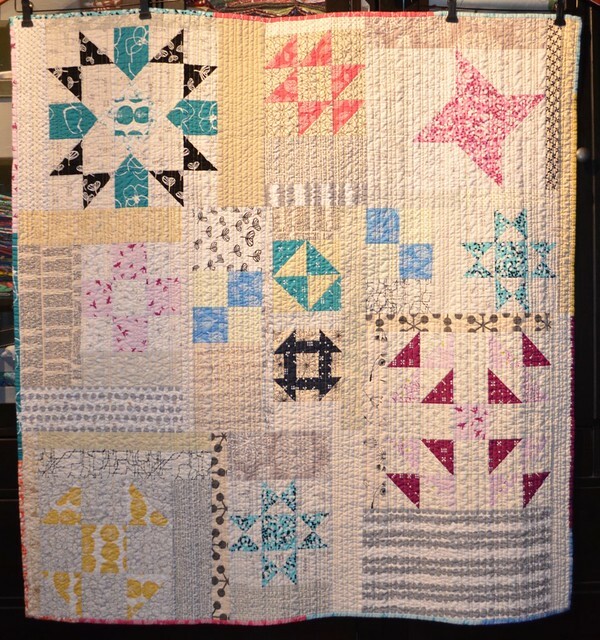 I pieced the blocks together one night, pulling all the low volume scraps I could find out of my messy scrap bags. I posted about doing that for Scraptastic Tuesday here, and I shared how to do use this approach to improvisationally filling in the background for DYQ, go here. 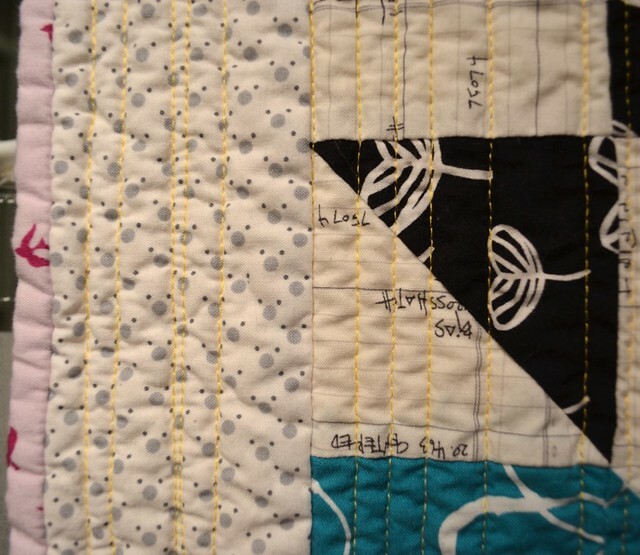 I decided to quilt Hush with one of my favourite quilting designs, freehand straightish lines placed random widths apart. To jazz up the quilting I used a bright yellow Aurfil 50wt Thread for the top and bobbin. I had to work to get a good photo showing off the bright yellow. This relatively light weight cotton thread works nicely in my APQS long arm machine but it also sinks into the quilt a fair bit. The yellow thread warms up the entire quilt top just a little. I sure plan to use less white thread for all over quilting as this is a fun additional effect. I often use different colours of thread on one quilt top, but I wanted to see how quickly I could quilt this one and changing colour slows one down. The quilting, after I had wound the bobbins, oiled the machine and loaded the quilt, took about 1 hour from start to finish, including bobbin changes and one thread break. I am very pleased with that as I was not rushing the process at all. The back was pieced using three favourite prints which compliment and work nicely with both the fabrics on the front and the overall feel of the quilt. Here you can see them a little closer. I am so in love with the fabric from the Paint line on the right. 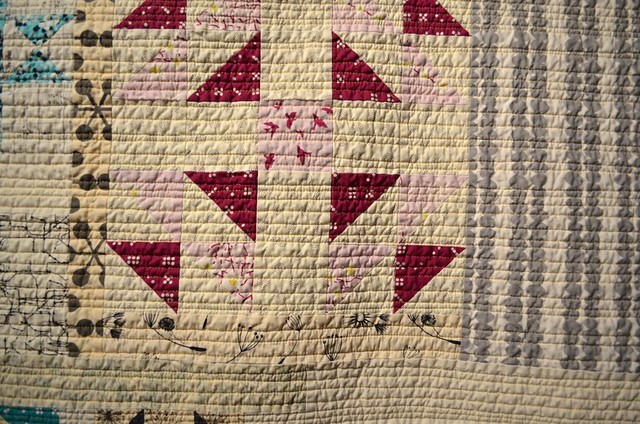 This quilt changed dramatically with just one wash and dry. In the photo above you can see how flat she was right due to the relatively dense quilting after the binding was added. Also she was quite stiff. If you look at the blue star on the right of the photo, bottom left corner you can see a wrinkle. That is the kind of wrinkles that I see in a stiff quilt with little drape. Now she is so drapey and cuddly, just the kind of quilt you want to wrap up in. Hush really has no top or bottom. She looks nice hanging with the quilting vertical as well. I think this may be my very favourite of the scrappy quilts I have made, as Debbie said, a nice quiet piece, with both a modern and traditional feel all rolled together. Nicky, my Scraptastic Tuesday partner over at Mrs. Sew and Sow is showing off her progress on her beautiful clamshell quilt today, do check it out here. 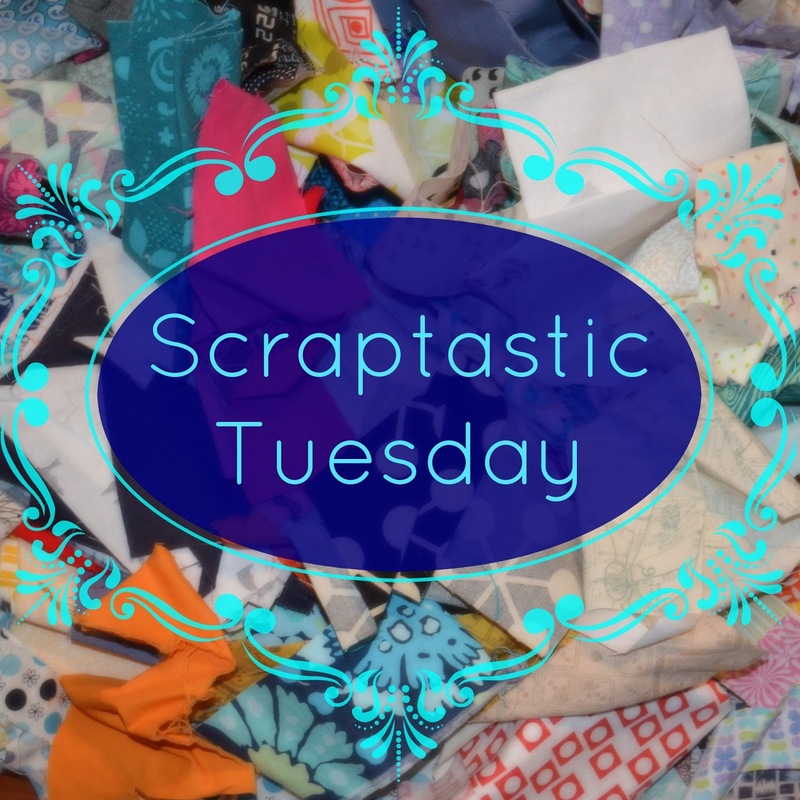 Next week will be the January Scraptastic Tuesday link up so please plan join us to share a scrappy project, in progress or finished, or ideas of how to use the scrap mountain or deal with it. 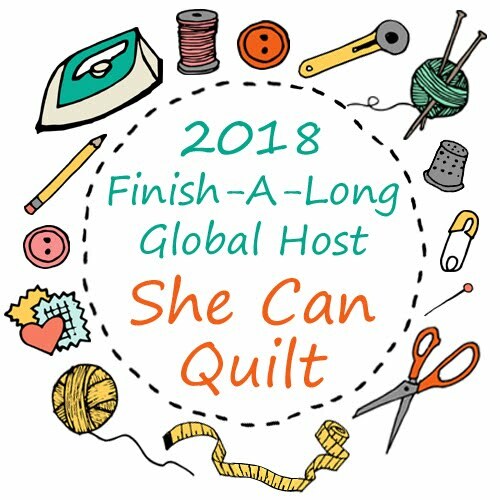 Hush is also my second finish for Q4 of the FAL, (my original list is here) and I am off to link her up, just hours before the link closes. Don't forget to get your finishes linked up at Katy's blog, the Littlest Thistle, go here. And I am going to get my Q1 2015 FAL list sorted this week, as I have a lot of unfinished projects still - having only finished 2 of my list of 10. 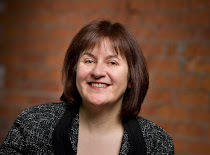 Adrianne, at On the Windy Side, is our new FAL host for 2015 and she has just opened the link for the Q1 lists here. Despite my poor showing this past quarter, the Finish Along has been helping me to steadily get my old UFOs completed and I sure hope to see you joining in too. Looking good and Debbie described it just right. Great use of scraps! 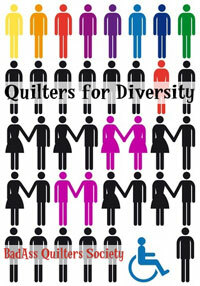 Beautiful quilt and many of my favorite fabrics! Perfect name! A wonderful name. The yellow thread was brilliant! 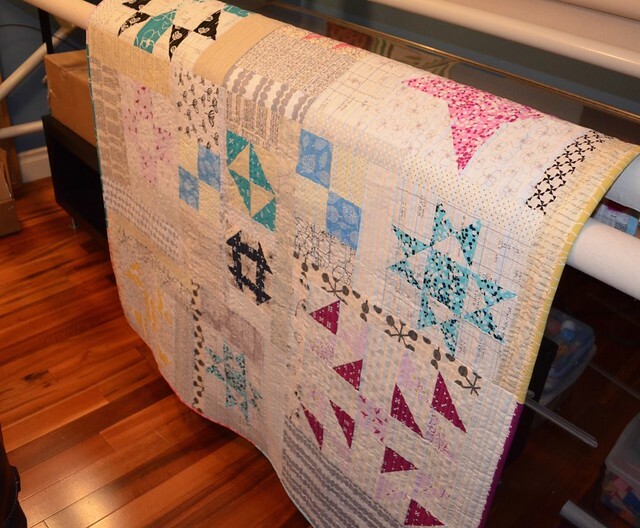 I just love this quilt so pretty and quiet! 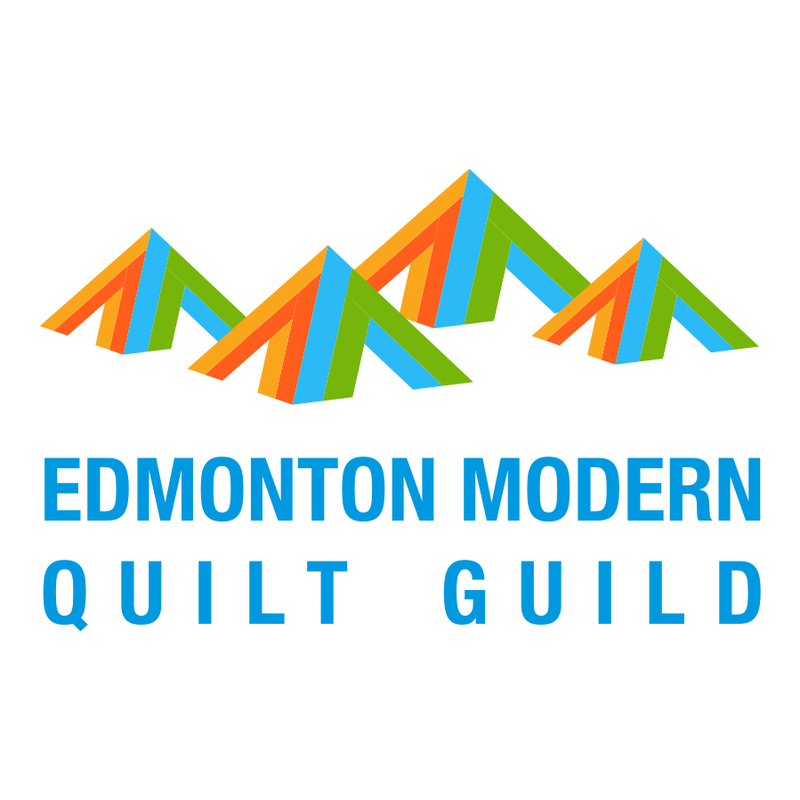 Great name for a beautiful quilt. It looks like it has been loved by a generation or two already and I love that in a quilt. 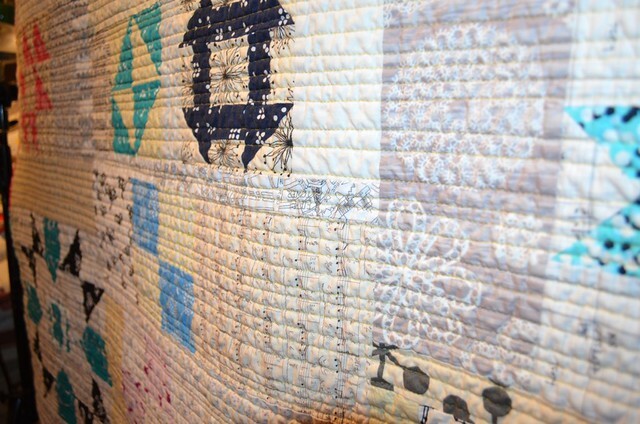 This quilt is amazing Leanne - and such a perfect name too! Beautiful and so appropriately named. Wow...your fabric choices on this one are amazing. 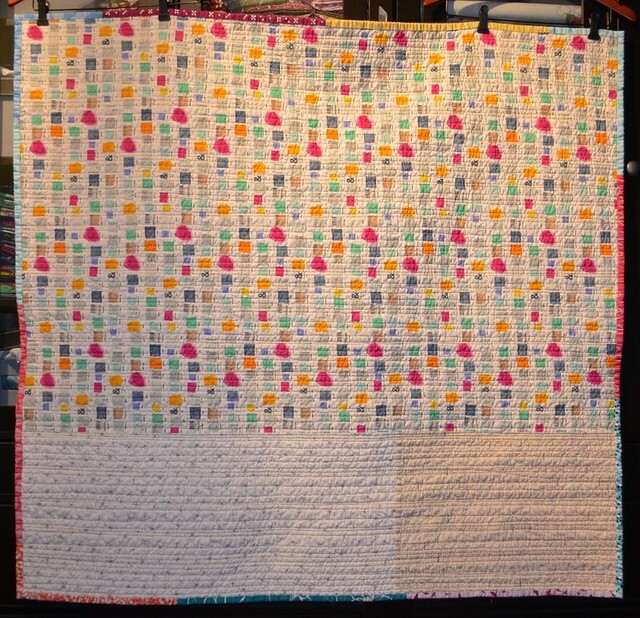 It is truly a perfect 'hush' quilt. I like that yellow thread. Good choice! Happy New Year, by the way! 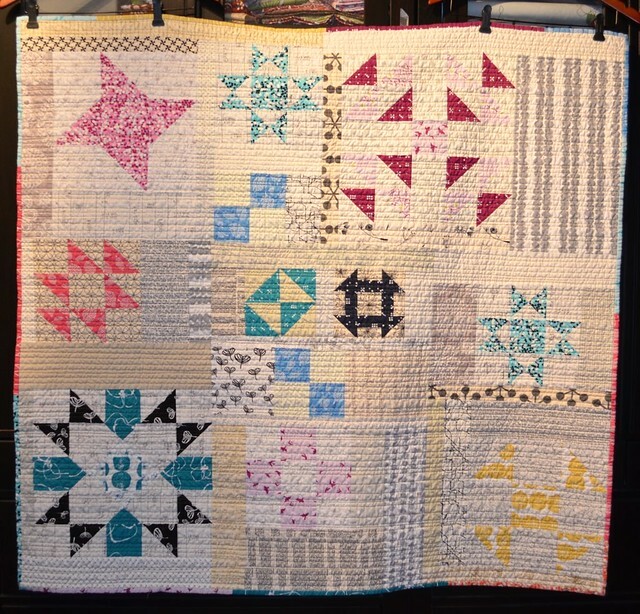 Love this quilt - the different sized blocks look so good all, neat backing too! 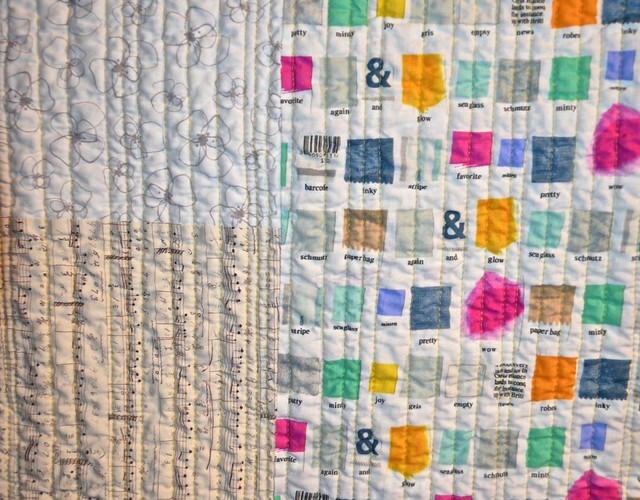 Such a beautiful quilt - perfectly crinkly. Mmm, I love it! Beautiful finish, Leanne! What a beauty! The name is perfect too! Well done you on your finish! Lovely choice of yellow thread. Nicely done! I love the use of the yellow thread too.